Halloween is coming sooner than even most parents realize. Zombies seem to be the main thing around this time of year. 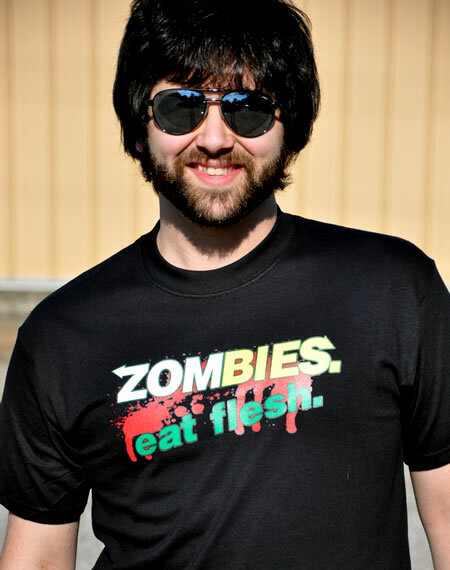 I’ve seen more zombie tees than anything lately. So, with that said, it’s “Zombies: Eat Flesh“. Low and behold, it’s a great tee for Halloween. The fabric is soft and made to feel just right. They have quite a few shirts to choose from. You’ve got to check them out for the Halloween season and even for the Zombie Hunting fanatics.